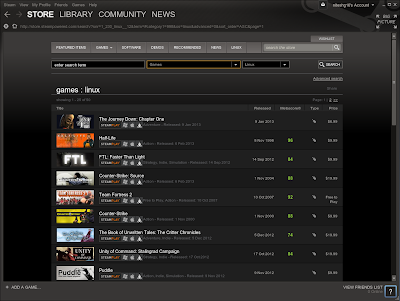 Steam for Linux (Beta) is now serving 50 game titles (excluding DLCs and addons). Steam for Mac OS X was launched worldwide on May 12, 2010, following a successful beta period. At launch, there were roughly 50 titles for Mac (excluding DLCs and addons). So we are already there and in few days we are going to beat Mac in terms of number of game titles available at final launch. 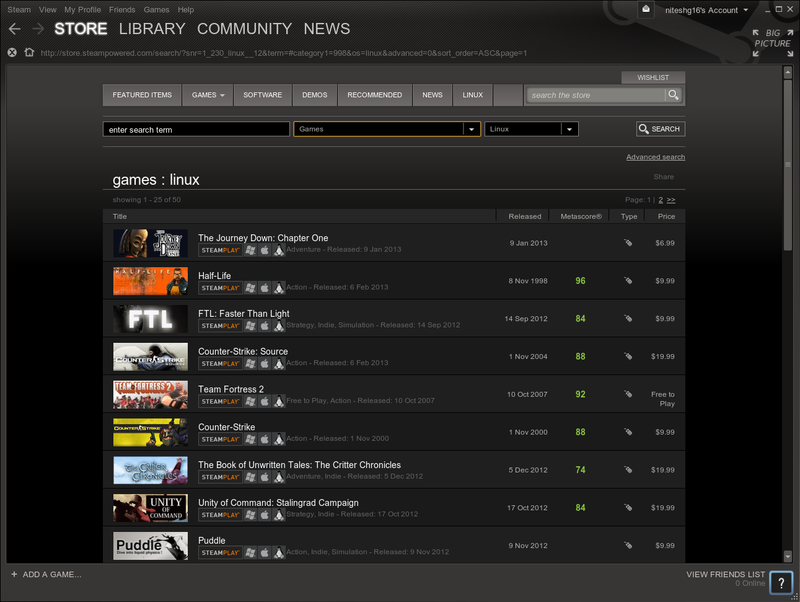 Steam Linux Beta period is not over yet and the CDR database is already showing over 90 games. All in all Steam has 354 titles for Mac today (excluding DLCs and addons). In terms of number of users, Linux is also catching up fast. Mac users now account for 3.56% of all Steam users (in nearly three years after launch) while Linux users now account for 1.12%, in just three months of beta period.